Will Volt version 2 come to Europe after all? If the normally reliable How Many Left? 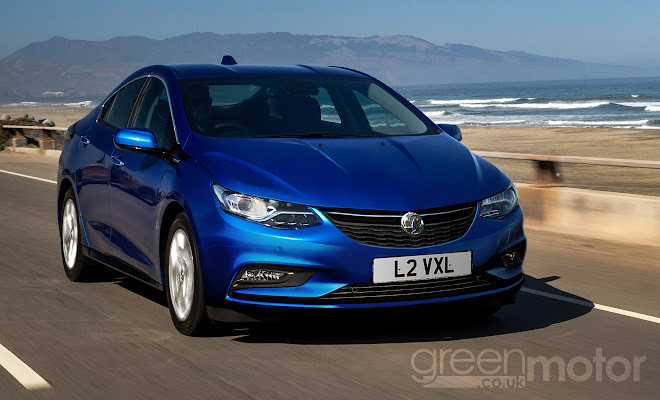 website can be trusted, Vauxhall sold fewer than 1,300 examples of its Ampera plug-in car in the UK, all told. That’s really not many, across four years between the car’s arrival in 2011 and departure in 2015. It’s not too difficult to imagine why the Ampera failed to win legions of customers. Among the list of reasons must go worrying complexity, along with high price and a lacklustre badge. The Ampera probably also arrived a few years too soon. Today, there are around 30 different plug-in cars on the market from a broad variety of manufacturers. But back in 2011, the Ampera – and the Chevrolet Volt on which it was based – looked a lot more lonely, and thus no doubt outlandish and risky. Being first to market doesn’t seem to have been any kind of advantage. Worse, the Ampera’s plug was pulled just as EV sales started to take off. Almost 30,000 plug-in cars were sold in the UK during 2015, compared with around 15,000 in 2014, and fewer than 5,000 for the whole of 2013. 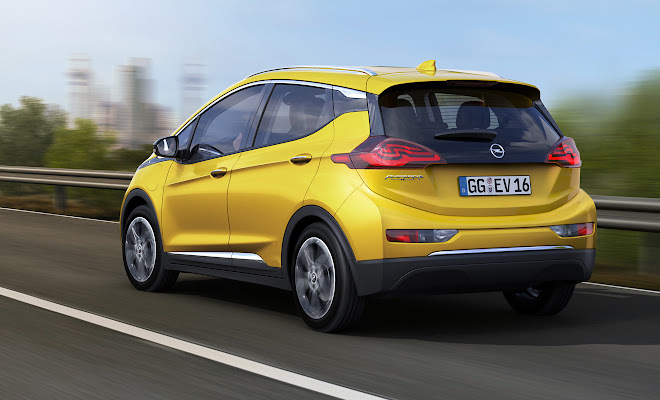 Given the sales figures, it didn’t feel too surprising to learn last year that plans for a second-generation Opel or Vauxhall Ampera had been quietly shelved, despite the appearance of an all-new Volt 2 from Chevrolet in the US. Now, however, it seems as if the latest Volt might be heading to Europe after all. Spy photos of a Volt 2 wearing a different shaped front bumper – and what looks like a taped-over Vauxhall-Opel grille, complete with roundel badge – suggest that we might see another Ampera arrive in Europe in due course. While the above (and the picture at the top of the page) remains hazy conjecture, another car will definitely carry the Ampera torch forward in Europe, and hopefully in the UK too. Called the Ampera-e, it’s a pure-electric car that will be the European version of the Chevrolet Bolt electric car. There is no complicated range-extender engine in this car, just a socking great battery to give a driving range that will leave most other EVs (with the notable exception of Tesla Model S) flagging in its wake. 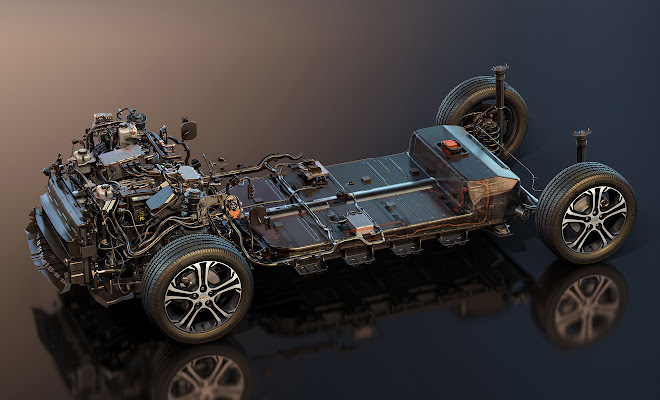 The Ampera-e’s floor will be home to 288 lithium ion cells, weighing 435kg and providing 60kWh of electrical storage. Nissan’s Leaf, for comparison, is now offered with 24kWh or 30kWh batteries, while the Tesla Model S can currently be specified with either a 70kWh or 90kWh pack. In other words, the Ampera-e should be able to travel roughly twice as far as a Leaf between charges, competing more closely with the long range offered by a Tesla. Range is expected to be “beyond 200 miles”. About two hours charging at 240 volts will replenish 50 miles of range, or 90 miles can be added in 30 minutes using DC fast charging, according to Chevrolet. The pack is liquid cooled, to help maintain battery health for long-term reliability. A 150kW (200 horsepower) motor drives the Ampera-e’s front wheels, providing up to 360Nm of torque, with the dash to 60mph taking less than seven seconds. Aggressive regeneration, alterable via paddles, is expected to provide a “one-pedal” driving style similar to that of the BMW i3 electric car. 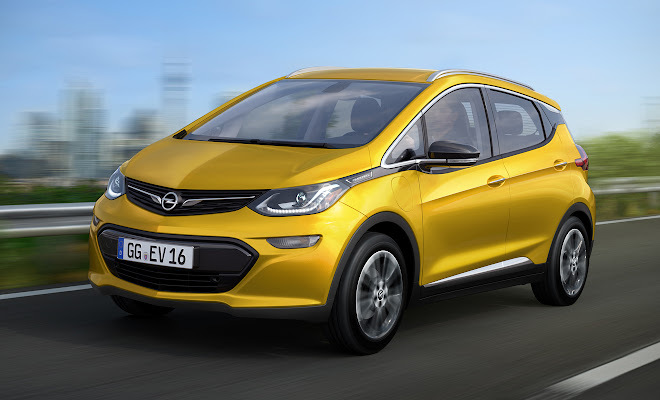 The Chevrolet Bolt is expected to go on sale in late 2016, while its Ampera-e cousin isn’t expected until 2017. Showroom costs have yet to be set, but the Bolt is expected to sell for about $30,000 (£21,500) after electric-car incentives in the US. 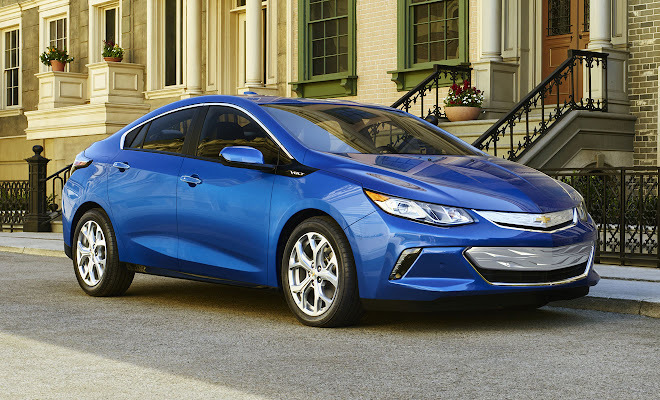 That’s somewhat more than the cost of the Volt 2, which currently costs from $26,495 (£19,990) after incentives. Given that the old Ampera cost around £29,000 after a contribution from the plug-in car grant in the UK, we can presumably expect the Ampera-e to cost somewhere around £30,000 if and when it goes on sale in the UK. If it were to arrive in that fiscal ballpark, it would put the electric Vauxhall up against a well specified BMW i3 with Range Extender. As with the original Ampera, clocking up lots of sales could prove a stiff challenge for the incoming Ampera-e.